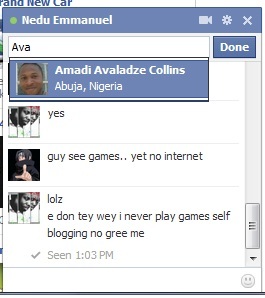 Facebook conference chat has been around for awhile but not so many people know about it or how to go about it. Facebook conference chat will allow you to chat with more than one friend at a time. The normal Facebook chat will only allow a one-on-one chat with a friend, Facebook now has a new chat feature that allow friends to chat with more than one person at a time, though not many people knew this. So today I want to introduce you to this new chat feature that allows multi-person chat for a better chatting experience. 2. 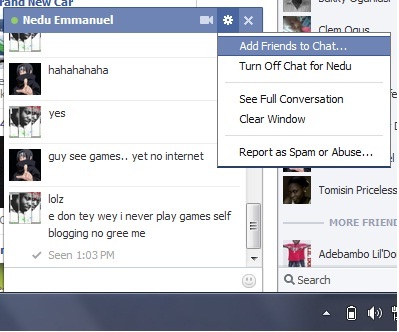 Initiate a chat with one of your friends from the normal Facebook chat window. 3. When you are chatting with a friend, click the gear menu at the top right corner of the chat window. 5. Type the name of the friends you want to add to the chat and click “Done”. Now you can chat with more than one friend at a time. Facebook conference chat is the easiest way to connect at a time with your Facebook friends. If you find above post on “How to make a Facebook conference chat” interesting and useful, please share this post with your friends using the share tools on the left hand side of the browser or the ones under this post. Please if you haven’t liked our Facebook page simply click on the “Like” button on the right hand side of the browser. You can also follow us on Twitter right under the Facebook page. 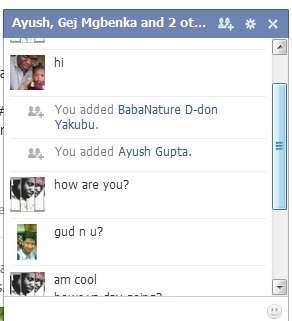 I hope you read my blog post on “How to add Facebook profile picture into Facebook Chat“. Is conference chat possible through Facebook apps for BlackBerry, Android and iOS ?